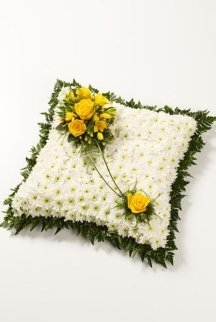 Choosing floral arrangements for the funeral is very much a personal choice and can depend on many different factors, for instance, some bereaved families may be small in numbers and others may have lots of children and great grandchildren to be considered when organising flowers. 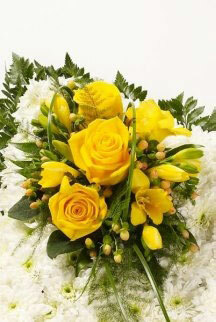 During the funeral service it is not possible to display all the floral tributes inside the service venue. 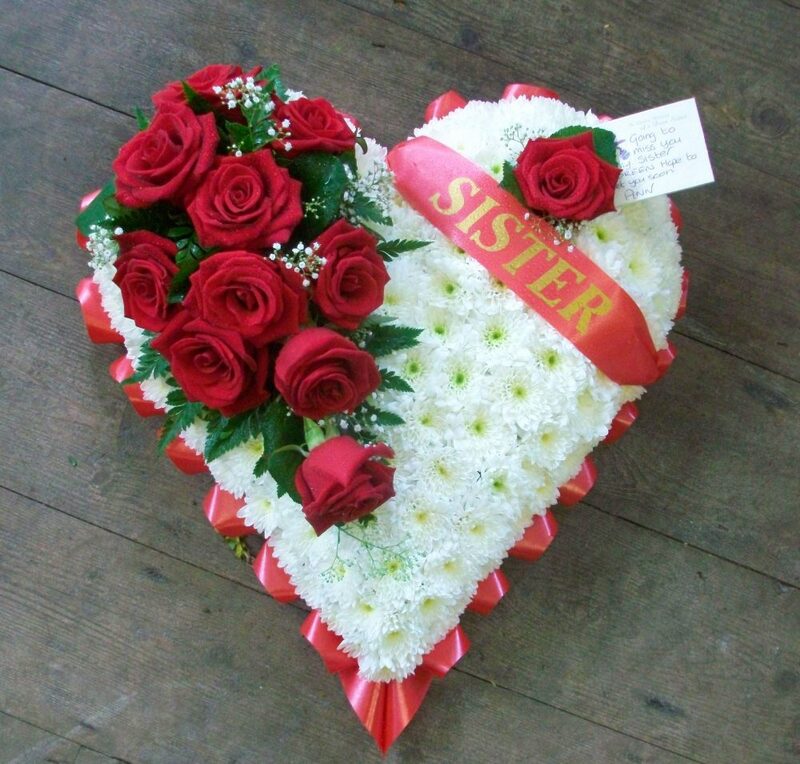 Because of limited space for flowers on the coffin, many families order one double ended floral spray and place a hand written flower card from each members of the immediate family on this tribute. 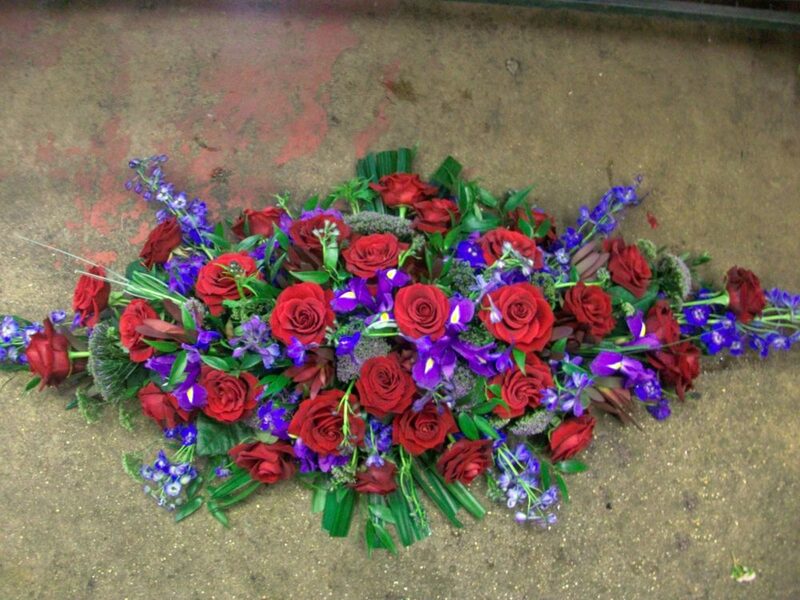 In addition to this you can order possy handle sprays which can be attached to the coffin also pedestal sprays which can be displayed on our pedestals during the service (Please note: Letter tributes i.e. 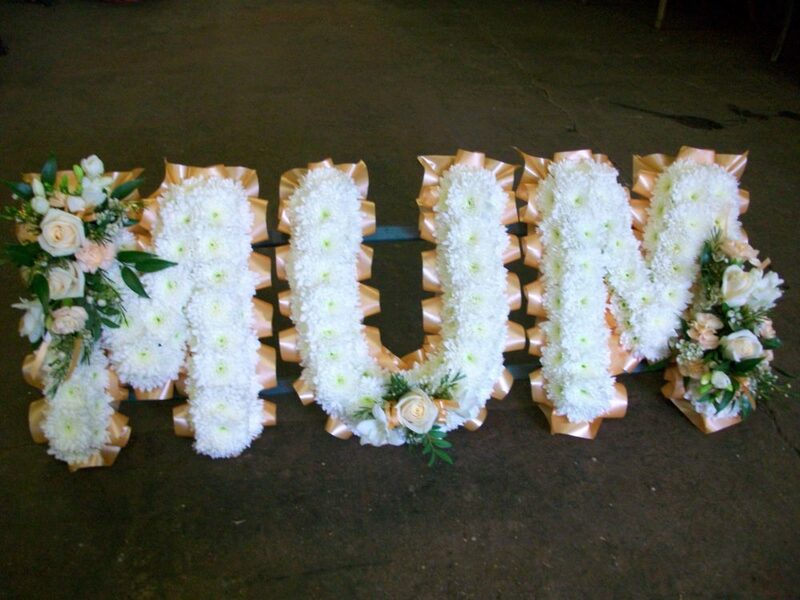 Mum or Dad are not suitable to be displayed on the top of the coffin and are designed to be displayed at the side of the coffin). We would be grateful if you can advise us which tributes are to go onto the coffin and any other arrangements you may require on display during the service in good time before the funeral. All other tributes will be placed on display for you to view after the service. 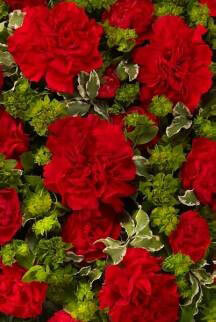 the message to be written on the floral card. 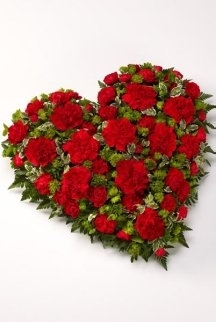 After the funeral service, flowers can be taken home or to a place which would appreciate them such as residential or nursing homes. 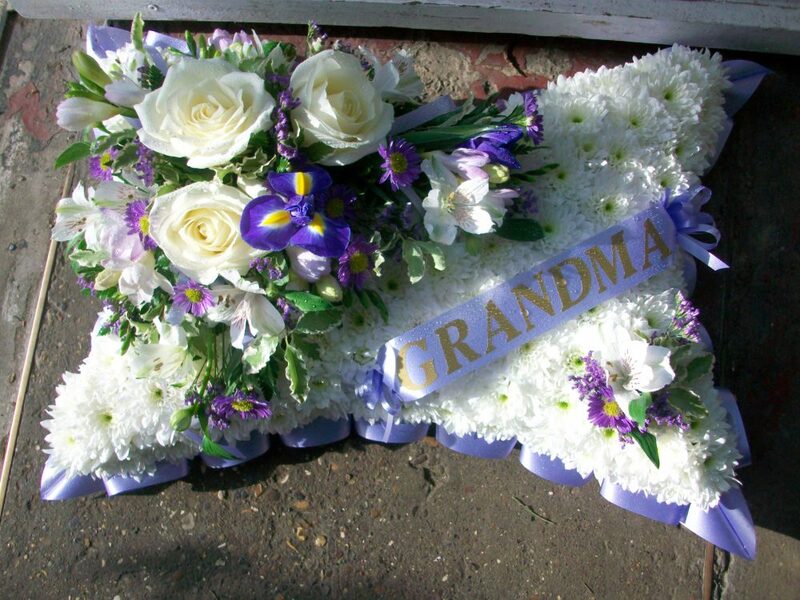 Alternatively, at additional cost we can arrange for the unsuitable funeral tributes to be rearranged into baskets and then taken on the following day.